■ Morning Musume. Collaboration beyond generations of OG members and active members has been realized! ■ Yuuko Nakazawa Yuuko Nakazawa, Aya Ishiguro, Kaori Iida, Natsumi Abe, Asuka Fukuda, delivered on November 3, 2017 And 20 new members of the OG members, including the new song “Tasuki no Tasuki” by active members of November 30 delivered “Love Seed” by 14 active members (at the time of delivery) and 20th Anniversary Ver. It includes 8 songs including new songs that members collaborated with. 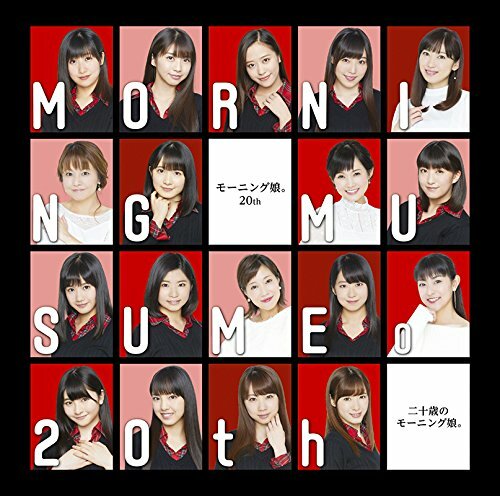 ■ The first production limited edition was released from OG members (Nozomi Tsuji, Takahashi Ai, Morning Musume) from among “Morning Musume 20th Anniversary Concert Tour 2017 Fall ~ We are MORNING MUSUME. ~” Held at Nippon Budokan on November 21 It is a DVD with the live image of the corner where the Mr. Sayumi Michishige, Reina Tanaka appeared, the interview image of the OG member, and the Music Video of “Love Seed” (20th Anniversary Ver.) And “Takeshi no Oshiki” Music Video.